Love Alistair's poems. Try this short NZ doco from TV one ten or so years ago.http://www.nzonscreen.com/title/mercu...Sam Hunt trudges up to Alistair's house (Kapiti, on a windswept hill) and the ole buggers (affecionately) talk/recite poetry.Moody piece - part biography and quite touching - Sam recites a poem and tears fall, I seem to remember. 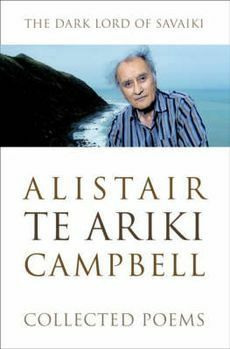 Alistair Te Ariki Campbell - Alistair Te Ariki Campbell was one of the leading writers of the South Pacific. He published many volumes of poetry, as well as plays, fiction, and an autobiography. His writing was heavily influenced by his life experiences and his South Pacific heritage.